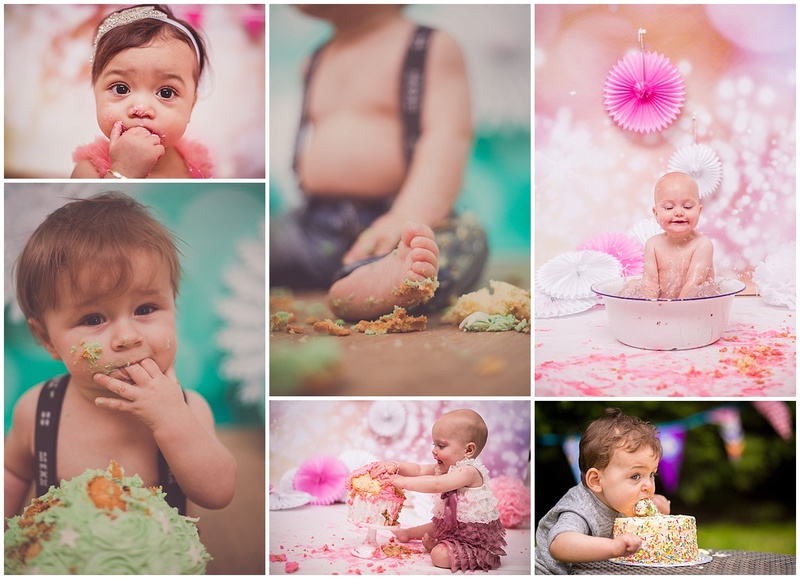 A Cake Smash session is a fun and above all a messy for Children older than 10 months, in which a nice XL CupCake gets smashed by the child or the children together. A CakeSmash is often arranged for a child that will become one year old soon, though it is also much fun for older children as well!! The images are often used for the invitations of the birthday party. The children will become sticky because of the cream which is used on top of the CupCake, so a tub with nicely warmed water and a little bit of soap will be prepared for the little one to get cleaned again. This creates nice splashy images as a result as well.